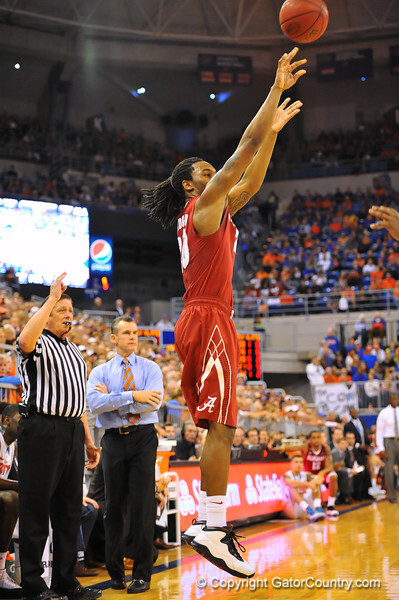 Alabama guard Levi Randolph sinks the 3-pointer late in the first half. Florida Gators vs Alabama Crimson Tide. Feb 8th, 2014. Gator Country photo by David Bowie.